Our blog this week will be markedly different and brief because yesterday we learned of the passing of Robert B. Miller. It is a sad day for us and the legion of worldwide sales professionals that were trained by him. His pioneering work along with several other industry icons elevated the sales profession worldwide. 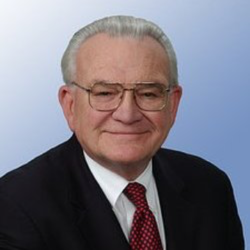 Bob and Steve Heiman founded Miller Heiman in 1975 as the world’s premier sales performance company. He is the author of “The New Strategic Selling: The Unique Sales System Proven Successful by the World’s Best Companies, The New Conceptual Selling: The Most Effective and Proven Method for Face-to-Face Sales Planning, The New Successful Large Account Management: Maintaining and Growing Your Most Important Assets — Your Customers and “The Five Paths of Persuasion: The Art of Selling Your Message” The programs that go along with these titles are as vibrant and relevant today as when they were developed and introduced. If you knew Bob your life was enriched. He was warm, friendly, smart, out-spoken and pithy. He was a mentor and friend to all. For us Bob was a “Dutch uncle”. He shared his thoughts with us frequently in an unabashed but caring manner. We always walked away enriched from the interaction. While we mourn Bob’s passing we wanted to write this tribute to celebrate his life. Bob, thanks for being a teacher, friend and mentor. Thanks for always taking our telephone calls and for your leadership and guidance. Thanks for patiently answering our questions and providing a rich point of view. Bob, you will be missed but your legacy lives on. Your legion of followers appreciates your contribution to the sales profession. You kept us focused on our customers. You made us proud of our profession. Rest in eternal peace!